photo by Jeff Johnston, via Flickr. 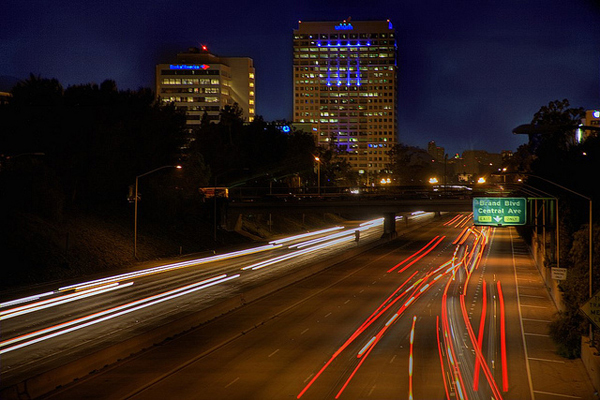 Nice shot of the 134 freeway through downtown Glendale, taken by Jeff about 11 p.m. on New Year’s Eve. I like the red, white and blue lights in different parts of the image.